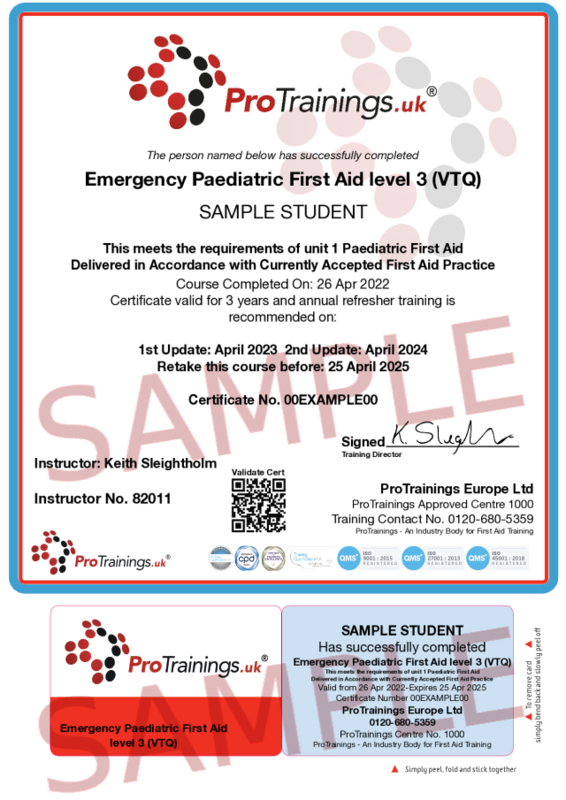 This is the latest 2019 version and is the entry-level Paediatric First Aid course and forms the unit 1 of the full Paediatric first aid course. In many situations, if you are registering with Ofsted you will need our full two days or one day online followed by one day in the classroom first aid course. On completing this course you can then complete the unit 2 course and receive the full Paediatric First Aid Award at ProTrainings. This course is also available as a blended course where you complete half the course using our video online training and then attend a local classroom practical session.